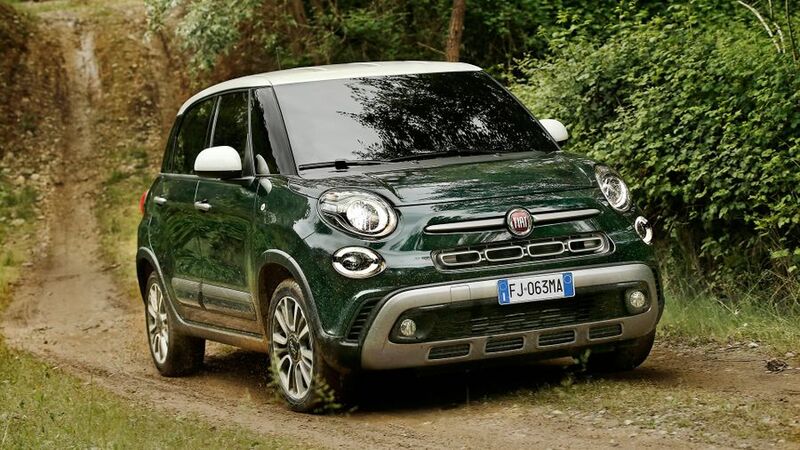 There’s no question that 500L’s funky looks will polarise opinion, but even the harshest critics would concede that the sheer amount of space and clever versatility Fiat has managed to pack into those compact dimensions is highly impressive. Although it has some shortcomings - it’s not the most precise or engaging car to drive, and many of the interior plastics feel a bit cheap and flimsy, for a start - it's sure to be hit with the family as it’s a very airy and comfortable car to travel in. Sweetest engine and plenty of kit. Not the most refined, but fuel returns are tempting. Rattly engine lacks refinement and power. Italian car designers have garnered countless awards down the decades, but just occasionally, they’re prone to penning the odd spudder. 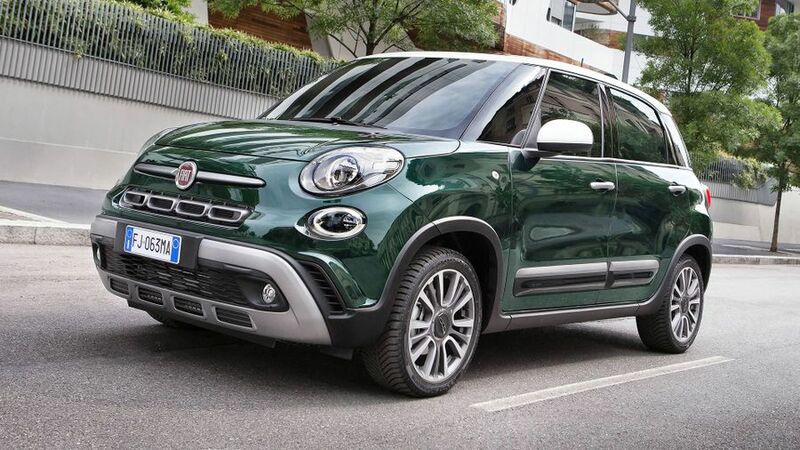 And, certainly, the 500L does have a style all of its own, which is even more puzzling when you consider it takes its inspiration from the cute 500 city car. True, if you squint hard, you can just about make out some '500-ness', including the short bonnet alongside the prominent circular headlights, but really, that’s where the similarities end. Perhaps confusingly, there are also three different incarnations of the 500L. Alongside the basic five-seater sits the Cross, which can be recognised by a 25 mm increase in ride height, different bumper design, side protectors and front and rear skid plates; and, completing the line-up is the longer seven-seat Wagon version, which can be recognised by its extended rear end and larger rear side windows. Every model in the range is available with loads of body colours and can be specced with contrasting roofs and alloy wheel designs, which means there are plenty of different ways to beautify your L.
The interior of this generation of 500L can easily be distinguished from its predecessors' thanks to the redesigned dashboard. Softer materials, dual instruments flanking a central digital display, and white backlighting all freshen things up. However, most of the switches and buttons still have a rather low-cost feel. The gearshifter is also mounted higher, to help make shifts feel smoother; the redesigned steering wheel button arrangement is designed to be easier to use; and, higher-spec models get a centrally mounted seven-inch touchscreen. Unfortunately, these improvements do nothing to address the L’s greatest shortcoming: poor visibility. With a pair of chunky pillars either side of the windscreen, trying to spot traffic coming around roundabouts or when pulling out of junctions can be a real hit-and-miss affair. While the steering wheel can be adjusted for height and reach, the front seats cushions are rather short, so it doesn’t take many miles behind the wheel before a couple of under-thigh pressure points begin to have you squirming around in your seat. At least the cabin feels very light and airy, and there’s also the option of a massive panoramic glass sun roof to help make things even cheerier. Despite sharing part of its name with a city car, the 500L has a surprisingly generous amount of space inside. In the front, head-, leg- and elbowroom are decent, but things aren’t so accommodating as you venture back. Yes, there’s still plenty of legroom, but because the seats are set high, to afford a better view forwards and to the side for children, this has a serious impact on headroom. You should also be aware that, if you specify the panoramic sunroof, even those of average height will find themselves crouching forwards or slouching in their seats to avoid brushing their barnets on the rear roof liner. You can slide the 60/40 split second row of seats back and forth, which is handy if you need to share seat or boot space out asymmetrically, or drag an errant little darling forward to create a demilitarised zone between them and their squabbling sibling. On five-seat Ls, the boot space ranges from 343 to 400 litres with the seats upright, depending on how you arrange the rear seats. If you need more capacity, then the rear seats fold down quickly to create a flat load space; and, on some versions, you can also drop the front passenger seat back onto its cushion to help transport longer items. There’s also a removable boot floor that can be set at three different levels, so it’s easy to keep even bulky items out of sight of those with less honourable intentions. A family-oriented car like the 500L should provide a good blend of ride comfort and body control, and for the most part, the L delivers. Although you’ll hear a good deal of thud and wallop as the suspension goes about its job over rougher surfaces, the soft springs and relatively long-travel suspension help prevent those lumps and bumps from being felt in the cabin. Of course, the downside to this approach is that you will experience rather a lot of body roll in corners, along with the car's nose obviously diving down towards the Tarmac under heavy braking, so you’ll need to keep your speed in check if you want to prevent the kids from feeling queasy. The power steering is reasonably well weighted, but it’s deadly slow to react, so when you turn into a bend, it can feel like an age before the front wheels catch up with your steering inputs. If you’re a bit of a camping nut or you’re concerned about getting stuck when Jack Frost comes calling, then the additional traction that the Cross model provides might be worth considering. It’s not a 4x4, but it does come with a system (including hill descent control) that enhances traction and is fitted with chunky town and country tyres as standard to help combat slippery conditions. Of the two engines we’ve driven, the petrol 1.4 T-Jet probably makes the most sense; and, that's despite being rather unresponsive at low revs, and rather jerky as you come on and off the accelerator when trundling along in traffic. However, once the revs are rising, there’s a defined upturn in performance, and at around 2500rpm, you can feel a kick coursing through the steering wheel as the power increases and front wheels struggle for traction. Although it’s relatively vibration-free, the engine does start to sound a bit thrashy as you get close to the red line, so (as you would with a diesel engine) it’s best to find a sweet point in the rev range and change up before you approach the straining point. The 1.6-litre diesel engine isn’t anywhere near as smooth as its petrol sibling. It produces some obvious rattle on startup, it’s rarely hushed, and it also generates quite a bit of vibration, which can be felt through the steering wheel, the pedals and (above all) the floor under hard acceleration. That said, it does produce strong performance and a healthy dose of pulling power, so if you regularly carry more than a couple of passengers, it could make more sense than the petrol car. The clutch pedal is extremely light, so it will place very little strain on you left calf when dawdling along in stop-start traffic. Unfortunately, it doesn’t have much in the way of a defined bite-point, so it can take a fair bit of practice before hill starts can be carried out with any confidence. The gearchange itself is rather good, as it requires very little effort to get it into the relevant gear slots. Likewise, the brakes also feel pretty effective, but they bite quite sharply at low speed, so you’ll need a delicate right foot, if you’re to prevent the kids from nodding back and forth in their seats. While the diminutive Twinair engine does very well on the official combined cycle, with an average figure of 57.6 mpg, our experience suggests that you’ll do very well to get anywhere near that outside the confines of a laboratory, because it needs to be thrashed mercilessly to deliver even moderate performance. The 1.4 T-Jet is the sweetest engine, but an average return of just 42.2mpg is pretty shabby. It’s easy to see why the 1.6 diesel will probably be the most popular engine, as it combines its punchy performance with fuel economy of 62.8mpg. Trouble is, it’s very pricey to buy. 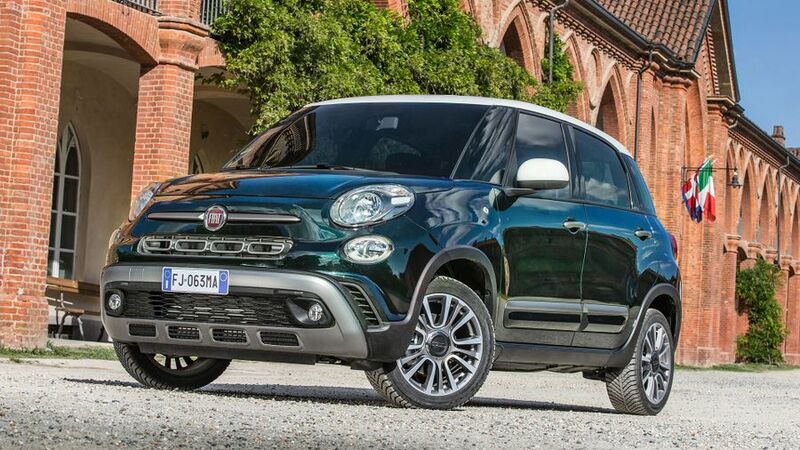 Although the 500L will be cheap enough to run, don’t go thinking it will hold its value as well as the chic little 500 city car, as it’s nowhere near as sought after as a used buy. You’ll do well to factor this in to your negotiations with your Fiat dealer if you buy one. The company does offer an 'Easy Care' service payment package on all its cars, which is reasonably priced and covers the car for all its scheduled servicing for the first three years of ownership. All parts and labour are included, and this can also be extended to five years for an additional cost. Historically, Fiat hasn’t had a particularly good reputation when it comes to reliability, but it’s not all bad, and the brand does at least achieve mid-table respectability in Warranty Direct’s manufacturer standings. The 500 supermini gets a reasonable score in the Reliability Index data, too, but the Punto, with which the 500L shares many of its parts, doesn’t score nearly as well. The 500L performed pretty well in Euro NCAP crash tests, earning a maximum five-star rating. Standard equipment includes six airbags and all the usual stability and braking systems. The options list includes City Brake Control, an automatic braking system which recognises obstacles ahead of the car and applies the brakes if the driver doesn’t. It works at speeds of less than 19mph and, depending on the situation, it can reduce the effect of an impact or avoid one altogether. It’s just a shame it’s not standard across the range. Both the five-seat Urban and the seven-seat Wagon versions of the 500L are available in Pop Star and Lounge trims. Pop Star brings LED daytime running lights, 16-inch alloy wheels, air-conditioning, cruise control, electrically adjustable, heated door mirrors and a 5.0-inch touch-screen with Bluetooth and voice control. Beyond that, Lounge trim features upgraded seat upholstery, dual-zone climate control, a fixed glass roof, fog lights, automatic wipers and lights, rear parking sensors, a height-adjustable boot load cover and a bigger touch-screen. 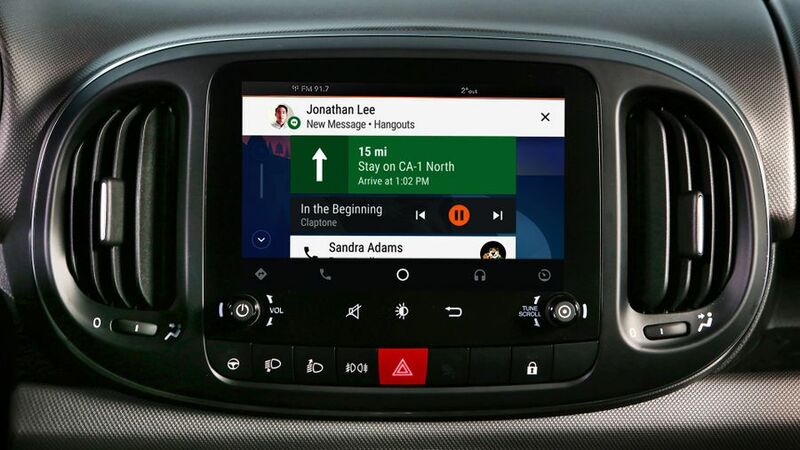 Smartphone apps can be accessed directly on the 7.0-inch display and the system is also available with Apple Car Play and Android Auto. Finally, if you fancy playing Daddy Cool, you can upgrade to a pumping 520-Watt stereo system. The 500L is among the most versatile small MPVs, and lets face it, that’s what MPVs are all about. Above all, it’s a comfortable car and, if you choose the right engine, it’s also reasonably refined; plus, it will be cheap to run and comes with impressive amounts of standard kit. The 500L is also one of the few compact MPVs available with five or seven seats, and you can also choose to up the adventure quota if you go for the Cross version, with its elevated ground clearance and clever traction control system. It’s not a particularly cheap car, however, and the looks are certainly a bit of a 'Marmite' proposition, but if you’re a fan and you like the idea of customising, you can really stand out from the crowd.